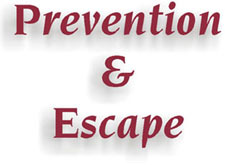 Finally there’s a better way to prevent intimate partner abuse. Abusers reveal themselves with subtle behaviors, long before the actual abuse starts. 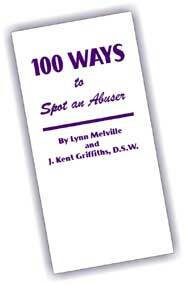 This ground-breaking 100 Ways to Spot an Abuser booklet unmasks the abuser to those who know the startling signs. Four women in the United States are murdered every day by their intimate partner. The first two weeks after leaving an abuser are the most dangerous. 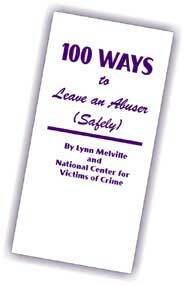 This compelling 100 Ways to Leave an Abuser (Safely) booklet tackles the crucial steps necessary to protect victims as they escape their abuser. contact information of your organization.